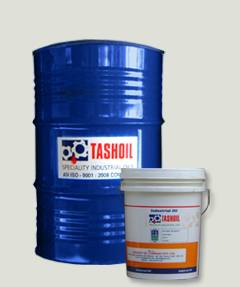 Industrial Gear Oil :: Tashoil Company Pvt. Ltd. These oils are blended with high quality mineral oils contaiing special additives providig anti wear and extreme pressure properties. These oils have very good oxidation stability at higher temperature and excellent thermal stability over other conventional gear oils. These oils containing good defoamers and emulsifying agents result better emulsification and low foaming tendencies while coming in water contact and having good rust and corrosion protection properties. These oils are recommended for all heavy duty enclosed gear drives with circulation or splash lubrication system operating under heavy or shock load conditions, effective up to 100°C.